QUESTION: I have recently retired from running my own business but I continue to make regular monthly contributions to my favourite charity under a gift aid declaration. With the increased personal allowance and the £5,000 tax-free band I am no longer paying tax on my savings and dividends. Can the charity still continue to claim tax relief on my donations? A: The accelerated rise in the income tax personal allowance over the last couple of years may affect many gift aid donors. The personal allowance rose to £10,600 from April 2015 for anyone born after April 5 1948. The 0 per cent savings band was also introduced. The government estimate that a quarter of a million people were taken out of income tax entirely by this change. Anyone who is a non-taxpayer as a result of the increased personal allowance (or for any other reason) should cancel any enduring donations that they make under gift aid. If they do not, they could be obliged by HMRC to repay any income tax claimed by the charity on their donation. The quirk relates to the Revenue’s stance on gift aid, which enables charities and amateur sports organisations to reclaim £2.50 for every £10 of eligible donation. Donors may have been taxpayers in the past, when the gift aid donations were first set up, but subsequently become non-taxpayers. People who are currently taxed on savings interest or investment dividends may fall into this trap, particularly if they make donations by standing order or direct debit and so may not be making a conscious decision about them. Those individuals who are in the position of having signed enduring gift aid declarations will need to cancel them. If they do not they may get a nasty surprise when HMRC present them with a bill for the tax liability they have inadvertently run up on gift aid donations. As a result of these changes, there is also a responsibility on the charities themselves. Charities and community amateur sports clubs need to make it clear to anyone who has made an enduring declaration that if they make a donation for which they will not have paid enough tax to cover the amount to be reclaimed, they should withdraw their declaration so that they do not have to account for the tax on subsequent donations. In practice HMRC have sometimes been known to ask charities to make up the shortfall in a situation where a donor’s tax liability falls short of the tax attributable to his gift aid donations. The 0 per cent band of £5,000 when added to the tax-free personal allowances, means that many savers in 2015/16 will not be liable for tax on any interest they receive if their total taxable income is less than £15,500. However there could be a sting-in-the-tail if they are making donations under gift aid. For example, someone who will (from April 2015) pay 0 per cent tax on their savings income, may donate £80 a year to their favourite charity. If they have made an enduring gift aid declaration the charity will assume the donation has come from someone paying the usual 20 per cent income tax and claim this back from HMRC under gift aid, which in this case would bring the total gross donation up to £100. 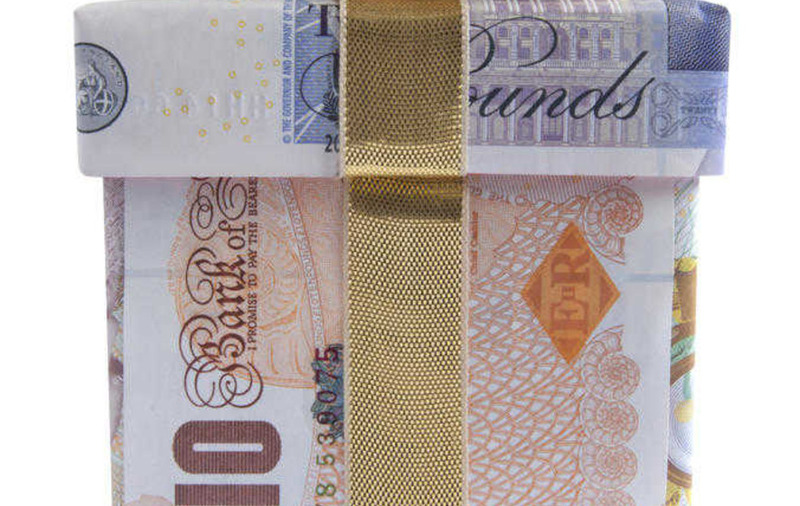 However, if 0 per cent tax has been paid on the money donated as ‘gift aid’ the donor might be faced with a bill for the difference in income tax to be paid back to HMRC – in this case £20. If this happens, the donor may want to discuss the position with the charity with a view to cancelling their gift aid declaration, and reducing their donation so that they are not out of pocket. Hopefully people will continue giving generously to charity, while avoiding any nasty shocks. That is in the interests of charities, donors and the tax authorities alike but everyone should be aware of the impact of these changes. :: Janette Burns (j.burns@pkffpm. com) is associate director at PKF-FPM (www.pkffpm.com).